Color/Consistency clear to pale yellow liquid. Blends With Bergamot, Lavender, Frankincense and Rose. Fennel's name comes from the Latin word for hay, as it was once used commonly in animal fodder. 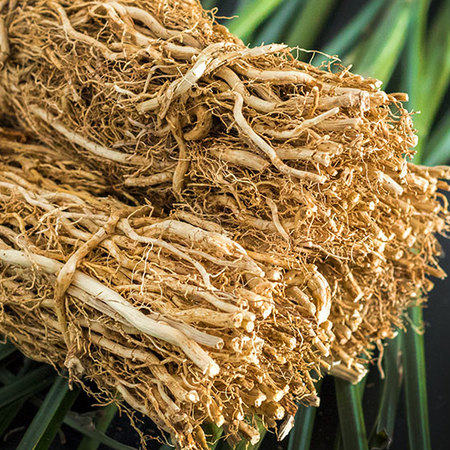 It is a plant of the same family as that of aniseed, caraway, and coriander. It has a pleasant aniseedy aroma, although it is safer for use than aniseed is. 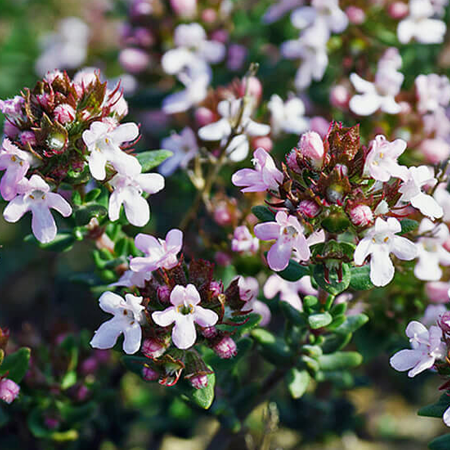 It grows wild in many parts of Europe, from the Mediterranean, where it originated, through to parts of Russia. 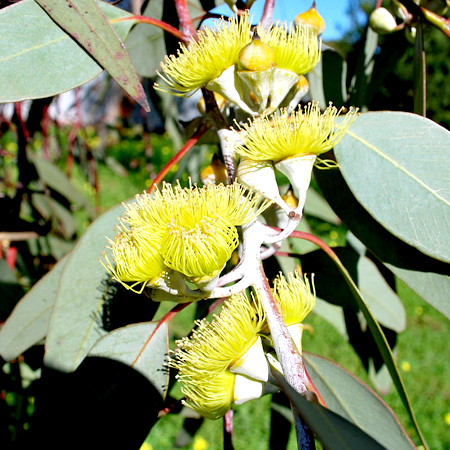 It is often found thriving in areas that are closer to the sea. 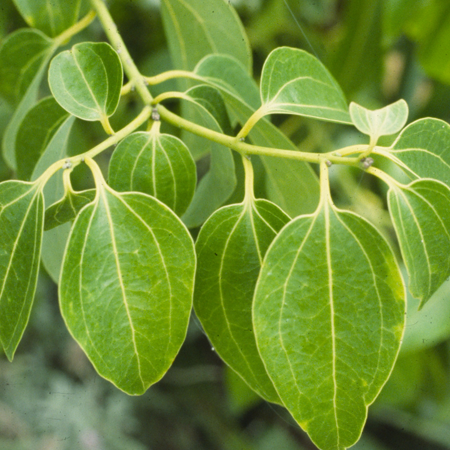 The essential oil is extracted through the process of steam distillation using the crushed seeds. It was thought to at one time offer protection from witchcraft and was hung over doorways to protect against the evil eye. The health benefits of Fennel essential il can be attributed to its properties as an antiseptic, antispasmodic, aperitif, carminative, depurative, diuretic, emmenagogue, expectorant, galactagogue, laxative, stimulant, stomachic, splenic, tonic and vermifuge substance. 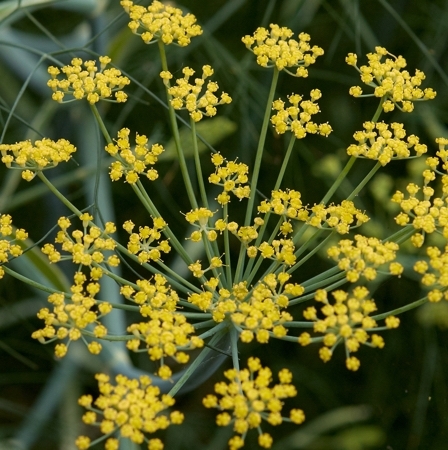 Fennel seeds were extracted steam distillation with supercritical carbon dioxide. Small-scale subsequent extractions of the same sample showed that the composition of volatile compounds was changed with the extension of extraction time and only principal volatile components were present in the last-extracted sample. 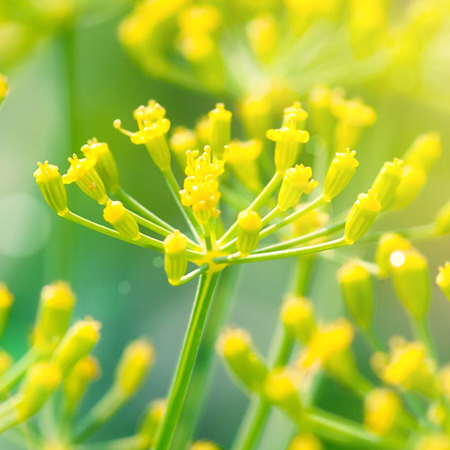 Fennel oil was successfully fractionated into the essential oil rich and fatty oil rich products in pilot-scale apparatus using two separators in series. An organic component called Trans Anethole, which present in fennel essential oil, boosts the production of the estrogen hormone. Although this is beneficial for lactating mothers, it is harmful for pregnant women and women with breast cancer or uterine cancer or tumor, since excess estrogen is the main cause of such cancers. In heavy doses, it may have narcotic effects and can result in convulsions, hallucinations and mental imbalance. 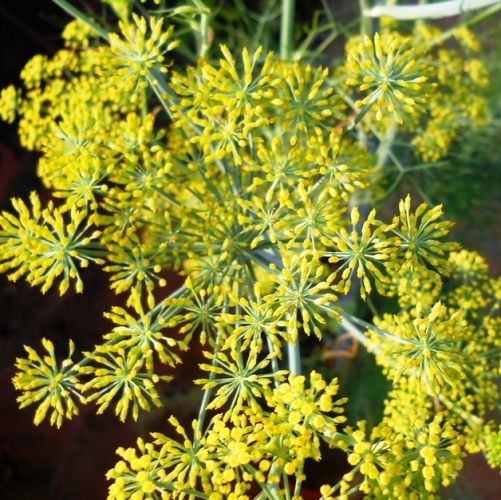 People suffering from epilepsy or with a history of that condition should avoid using fennel essential oil. Quality Sweet fennel oil may be adulterated with monoterpene hydrocarbons such as limonene, and with synthetic anethole, which usually contains the more toxic (Z)- isomer. 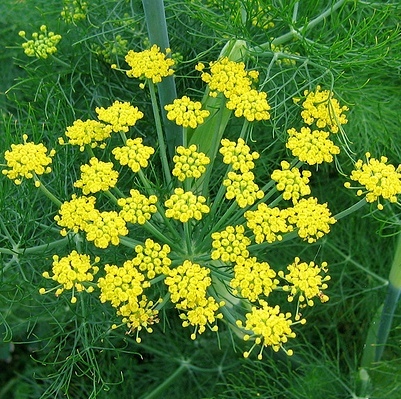 Bitter fennel oil may be passed off as sweet fennel oil. Contraindications Pregnancy, breastfeeding, endometriosis, estrogen-dependent cancers, children under five years of age. We recommend an oral maximum of 73 mg and a dermal maximum of 2.5%, based on 4.8% estragole content with oral and dermal limits of 0.05 mg/kg and 0.12%. The Commission E Monograph for fennel oil. recommends that it is not used in pregnancy, or “for infants and toddlers”. IFRA recommends a maximum dermal use level for estragole of 0.01% in leave-on or wash-off preparations for body and face. The EU does not restrict estragole. 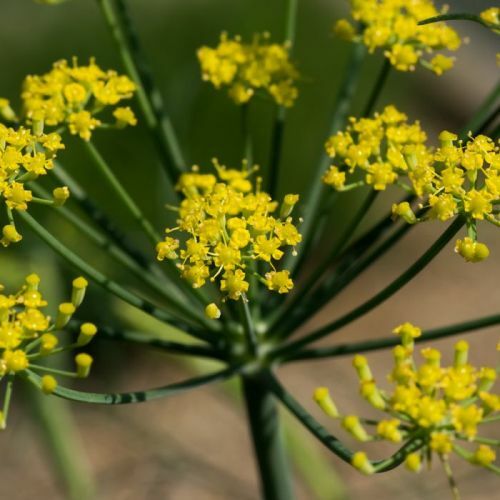 Acute toxicity Sweet fennel oil acute oral LD50 in rats reported as 1.33 g/kg and 3.8 g/kg; acute dermal LD50 in rabbits >5 g/kg. Given subcutaneously to mice, the LD50 was 1.08 g/kg. Antioxidant/pro-oxidant activity Sweet fennel oil is an effective antioxidant and free radical scavenger. Carcinogenic/anticarcinogenic potential Sweet fennel oil was not mutagenic in the Ames test, and did not produce CA in Chinese hamster fibroblasts. When orally administered to mice at 1 or 2 mL/kg/day for three days, sweet fennel oil was not genotoxic, and it significantly inhibited both the genotoxicity and reduction of antioxidant enzymes caused by cyclophosphamide. (E)-Anethole is not a rodent carcinogen. 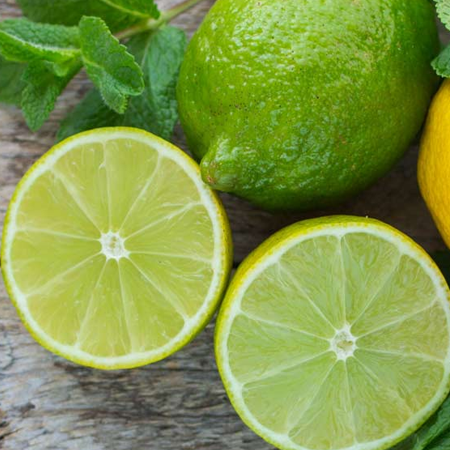 Estragole is a rodent carcinogen when exposure is sufficiently high; (þ)-limonene is anticarcinogenic. Both (þ)-limonene and fennel oil induce glutathione synthesis, and (þ)-limonene is anticarcinogenic while estragole is carcinogenic. In the absence of any further information, sweet fennel oil should be treated as a potential carcinogen, because of its estragole content. There are four chemotypes of fennel, an anethole, a (þ)-limonene, an estragole and an estragole/fenchone, although only the anethole chemotype is used for commercial essential oil production. In an analysis of 30 anethole chemotype oils, the estragole content ranged from 2.0–4.3%. Anisaldehyde, an oxidation product of anethole, increases if the oil is improperly stored.